Sharing economy websites—platforms that facilitate lending, buying, and selling goods or services from individuals online—have revolutionized a number of industries from travel to education, even childcare, food and beauty services. Trust in these peer-to-peer marketplaces is the currency second only to currency itself. Dealing with two of the most cherished things in many of our lives—our homes and our pets—peer-to-peer pet-sitting start up Trusted Housesitters knew it needed to collect customer stories to build trust on their platform. We’ll show you how Trusted Housesitters used Boast and a compelling giveaway to gather over 2,000 video testimonials and build trust on their sharing economy marketplace. The relationship between pet- or housesitters and owners on Trusted Housesitters starts with vacations; pet owners can leave their homes without worrying about their pets’ well-being, and petsitters can visit a new location and live like a local in return for petsitting. Before signing up, some may be wary, asking, “how do I know my pets and my home will be safe with a stranger?” Sitters may also be wary at first, wondering about their personal safety in a stranger’s house. To alleviate these barriers, Trusted Housesitters created a campaign to collect a massive amount of positive experiences. Trusted Housesitters addressed these concerns with personal testimonials from users, including both owners and sitters, showing the amazing experiences they had through the site. 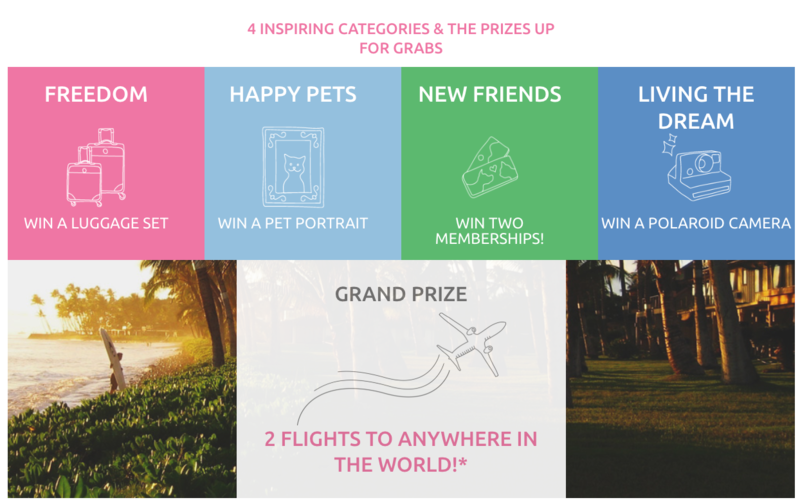 First, Trusted Housesitters incentivized their users to submit testimonials by providing five valuable prizes that were also relevant to their platform: a luggage set, pet portraits, two free site memberships, a camera, and a trip for two. They made it easy to submit testimonials through Boast by embedding the Boast testimonial collection form to their site, compatible with smartphones and laptops. This allowed users to upload a previous video or record a new video without leaving the Trusted Housesitters site. 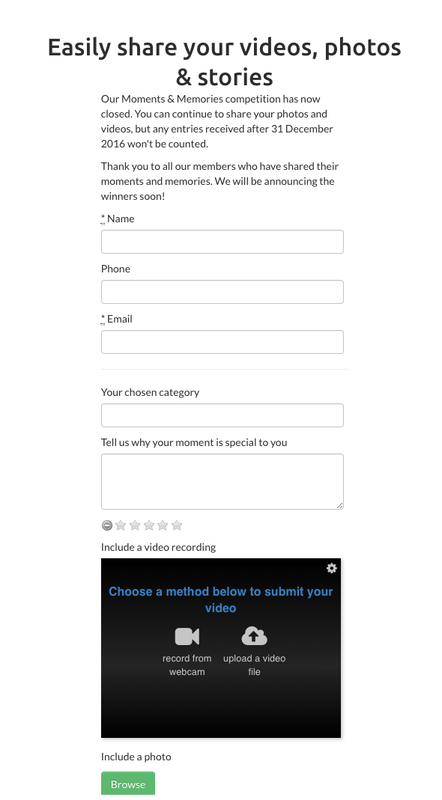 When users were on their vacations, caring for pets, or returning to their furry best friends, they took a quick video or photo and described their experience using the site and uploaded their experience to a feed of other positive experience to enter the contest. With their well-designed testimonial collection and display page in place place, Trusted Housesitters promoted their contest. Before long, happy housesitters, petsitters and pet owners were telling powerful stories about their trips to Maui beaches, French castles, and Swiss mountain cabins. Once the winners were announced a few months later, and the contest was finished, Trusted Houseitters was left with over 2,000 customer testimonials showcasing the power of their platform. Ready to run your own customer testimonial contest? See how Boast works in the video demo. Peer-to-peer websites require a lot of trust, and this puts the burden on the business owners to show the risk is minimal and the payoff is huge. This means not only building trust on the website, but also maintaining transparency and generating excitement. This also must be easy to share to help new users get started, and it has to show both sides in the peer-to-peer equation. Authentic and Verifiable: If new users don’t believe the testimonials are reliable and real, it’s impossible to build trust in a shared economy website, or any website. Video solves this problem more than pictures and especially more than text. While anyone can steal pictures or make up text, videos show relevant experiences that are very difficult to fake. Compelling: Ho-hum videos don’t build much excitement. Vacations on the shores of Maui, however, do. By highlighting exceptional experiences in exotic locations, Trusted Housesitters made their campaign memorable and irresistible to new users. Accessible: By making testimonials viewable to users as well as site visitors, the campaign works for customers at different conversion stages, including prospective customers, new users, uncertain users, and those close to turnover. Short, Sweet and Shareable: Visitors quickly get bored with long content. With short videos less than a minute long, two paragraphs or less of text and a few pictures, visitors and users consume and share these bite-sized testimonials easily. Easy: While Trusted Housesitters gathered hundreds of testimonials, they didn’t have to come up with this content themselves or change anything about their site. Boast allows you to add these features to your site with no coding knowledge or redesigns required. Incentivize Your Users: Trusted Housesitters used five amazing rewards to get users to post their stories. Since their site is focused on travel and pets, these were perfect choices. When arranging your giveaway, make sure it is relevant and valuable. Incentivize Sharing: If you choose the winners of your giveaway, you can emphasize a particular aspect of the testimonials that promotes sharing and attention. You might say that the best quality, most dramatic, or the most-shared testimonial will win the prize. Make Instructions Clear and Relevant: If users are confused about what they should say in their testimonial, they might not bother. Give your audience some creative freedom, but make sure they know what their content should look like. To build trust on your peer-to-peer website without much expense or time, you’ll need to gather a few tools and assets. Once you have these in place, implementation will be a breeze. A Testimonial Gathering Platform: You’ll need a way to easily ask for, gather and display testimonials in one place. With links you can easily send to your users, template testimonial request emails, website and social integrations, and much more, Boast is a great resource for this. Contest Rewards: Whatever your site is selling, trading, or focused around, your rewards should show it. You may need to invest in these yourself, but don’t be afraid to get creative. Testimonial Request Email Automation: Make sure that your users know when the giveaway starts, what they need to do to enter, and how they can win. Send a few reminders and automate these messages beforehand using a tool like Mailchimp or Constant Contact, so nothing is left to chance. A Display Plan: With an app like Boast, you can automatically display testimonials on your site or social pages with no coding skills necessary. While these testimonials are designed to convert those who already know about your site, they can help with other parts of your digital marketing strategy as well. Make a plan to get permission from users and share the most dramatic testimonials through promotional emails, social messages, forums, ads and other networks. Remember, testimonials have a long shelf-life, so you can continue to use these messages in future advertisements too. Whether your peer-to-peer platform deals in freelance work, rides, car rentals, vacations, clothing rentals or something new, trust is the only thing that can turn strangers into friends and business partners. Follow Trusted Housesitters’ model to build excitement and trust on your website or peer-to-peer platform, and show users your platform is the latest trend.